Seller Description: Get Cat6a Riser CMR 1000FT solid copper UL listed UTP Ethernet networking. 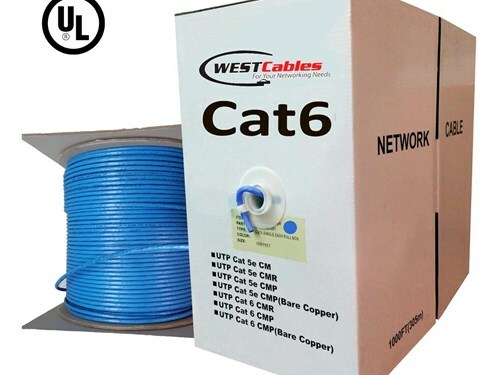 Cat6a riser is UL listed cable and has 4-pairs UTP (unshielded twisted pair) 23AWG solid conductors and riser rated outer jacket which is suitable for 10Gb 500MHz high-speed data where plenum cables are not needed. Cat6A riser rated pure copper cable exceeds CAT 6A TIA/EIA-568C.2 standards.